One of my favorite classes this semester is Biblical Narrative with Dr. Joe Dongell. Brand new at ATS, this course looks at Scripture as a whole, proposing an underlying mega-narrative supported by a number of meta-narratives. (If that was somewhat “Greek” to you it also was for me until yesterday.) In an after-class discussion, Dr. Dongell presented what he believes to be the overarching story (“mega-narrative”) in the Bible followed by various themes (“meta-narratives”) that are present throughout. For an introduction to mega-narrative we turn to Genesis, the book of beginnings or the place our story starts. Genesis can be broken down into basically two eras: the first recorded in chapters 1-11, and the second in chapter 12 to the end of the book. In the first era we see God breathing life and hence order into the chaos followed by sin and death reversing the process. The progression is startling: a preference for something other than God (3:6) leads to murder (4:8), then to out-of-control revenge (4:24) and then eventually to unsustainable violence (6:5, 11). The antithesis of life is highlighted in the first recorded genealogy (5:3-31) in the phrase, “and then he died.” It’s a resounding endbeat for each life except Enoch. The first era ends with God “cleaning house” (the flood) and re-ordering the chaos followed by a genealogy that depicts a “diminishing life trend”; life spans descend from 500 down to 119 (11:11-25). In the second era we see God establishing a people who will be blessed and be a blessing to all the peoples of the world. Just to be clear, this term “bless” and its derivatives should not be confused with that which we ask over a meal, a “good-day” to passersby, or our response when someone sneezes. 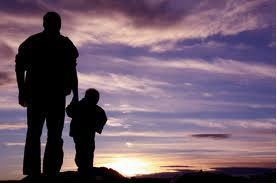 Defined as “breathing life” into another, we see God infusing Abraham with life so that he can bestow it on others. Lot is successful when he is with Abraham; the redundant mention of their separation (13:11) draws attention to Lot’s downward spiral that follows when he is not connected to the one whose purpose was to breathe life into others. God’s desire to impart life to those who bear His image constitutes the mega-narrative. God gifts humanity with an environment teeming with life and beauty, and in the middle of it all, a tree that will sustain life forever. This glimpse of eternal life, however, is quickly snuffed out when an enemy misguides human choice toward sin (preference for anything other than God) which ultimately leads to death. The plot thickens throughout Scripture; the mega-narrative reveals a God Who is continually injecting life into His special creation while Satan undermines and destroys. God’s injunction to be fruitful and multiply (1:28, 9:1) is constantly thwarted by the satanic threads of violence and murder. Multiple stories of family dysfunction (Isaac/Esau vs. Rebekah/Jacob, Judah & Tamar, Joseph vs. his brothers) during the second era in Genesis are further evidence of Satan’s attempt to stop the Abrahamic lineage of blessing. We might also note that Sarah, Rebekah, Leah, and Rachel all suffer from barrenness. Satan wants to stop a lineage that will ultimately produce a Mediator who will re-introduce eternal life. The meta-narratives of Scripture are other themes we are quite familiar with: Sacrificial atonement, Kingdom, Covenant, and Redemption to name a few. These themes and threads throughout Scripture all tie into the mega-narrative–God’s passion for imparting life to fallen humanity. The Bible is God’s story of eternal life for you and me. It’s His story (his-tory) that you and I are invited and privileged to join! Click on the image above to view my first video blog on the Framework theory of Creation. 2012. A New Year. New resolutions, new plans, and new opportunities. NEW! So what will be new for you? What new thing will transpire in the course of the coming year? What new experience will you encounter? What new idea will you come up with and share with the world? What new dreams will you launch? What new experience will enhance your life story this year? Isn’t it interesting then, that some will quote Solomon, who at the peak of his cynicism and humanistic outlook, stated, “there is nothing new under the sun” (Eccles. 1:9). Really? Nothing new? Is that true about the arts, technologies, constructions, ideas—none of that is new? God is about NEW! His first recorded act is NEW creation. Humanity’s greatest attribute—being made in God’s image—means we are called to create NEW things! What will that be this year? What NEW creation will God birth in you in 2012? So go ahead…create something NEW! Engage in the NEW that God brings your way! In the United States of America today, Christians are known more for what they’re against than what they are for. 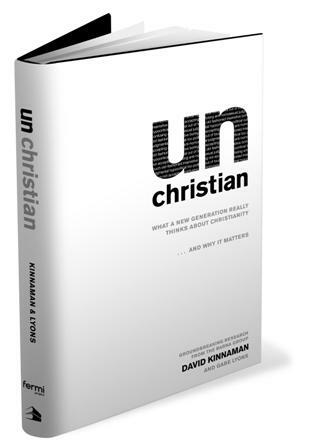 In their book, unchristian, authors David Kinnaman and Gabe Lyons tell us that 91% of young people in America believe that we are anti-homosexual. 87% see us as judgmental and 85% deem us hypocritical. 78% view us as old-fashioned and out of touch with reality. 75% think we are way too political. 70% think we are insensitive to others and not genuine. For some reason we’ve become famous for what we oppose. One speaker I heard in recent years painted a picture similar to that which has befallen the Amish in North America. In the not-too-distant future, he claimed, we may very well be able to board tour buses in Colorado Springs and visit the remnants of the Evangelical Church. We’re quickly becoming irrelevant to society. And unless we change our posture, we simply will become an oddity from the past that attracts a few passing tourists but has little influence on society as a whole. 83% of Americans claim to be Christian yet only 17% are attending church regularly. 50% of churches have no new converts in the last year; 95% of Christians never lead anyone to Christ; and 2% only give it any real attempt on a regular basis. By 2050, 400 million Americans will have no clear expression of the Gospel (most of these alarming statistics were recently presented by Pete Hise at an Uprising Conference I recently attended in Lexington, KY). My pastor recently pointed out that many Christians either try to hide from the world or try to hide their love for Jesus from the world. We can fall into either ditch. Too many are concerned with living in a Christian nation rather than making America a nation of Christians. We seem to have a problem with preferring adjectives over nouns and verbs. Jesus calls us “to be” who “do.” Furthermore, nouns always like verbs; sentences are only complete when both are present. So how Christian really are we? What will it take to be known as people who love unconditionally? Can we create cultures of redemption that are irresistible? Can we flavor society as Jesus’ salt analogy of Matthew 5 suggests rather than run from it? If so, what will “being Christian” and “doing Christian” look like? I took Jon Gordon’s free tele-seminar last week. My most important takeaway resulted in a family powwow yesterday that zeroed in on Gordon’s advice to pick one word to focus and define one’s life for the coming year. We decided that choosing verbs would do best in keeping us action-oriented with these words. For me it was pray—I want to develop a deeper prayer life in the coming year. My wife Amy chose the verb listen since her desire in 2011 is to cultivate a greater sensitivity to the voice of the Spirit in the little things of life. Brittany chose the word respect—as a teenager she desires to grow in her respect for her parents and her friends. Courtney felt that the words be kind would help focus her responses to siblings and others when they “get under her skin.” Jamin chose the verb obey as he believes he needs to grow in the area of instant obedience. Lastly, our family chose the word encourage, focusing our collective vision of building each other up over the course of the next year. I took each of these words and printed them out on cardstock. Each of us will now draw a picture on the background of each card to further demonstrate how that word will affect us in 2011. So how about you…what will define your focus in the coming year? As we close out 2010 and prepare for 2011 I’m reminded of this idea of setting New Year’s resolutions. While striking cynicism in the hearts of some, in others it creates a sense of excitement; there’s this prospect of starting out with a fresh slate and making some positive changes. Some get a charge out of setting goals and fulfilling them while others know that it amounts to little more than short-term hype—their New Year’s resolutions are usually broken before the end of January. Regardless of whether or not we set New Year’s resolutions, many of us unfortunately tend to believe in a future that is based on our past. We perceive that the future will hold much of the same and that little can be done in terms of intentional thinking or planning since what generally happens will happen. Those of us who don’t buy into such strict fatalism may still tend to see ourselves in terms of the past however. If we’ve had some negative experiences in the last year and attained few wins under our belts we will most likely face the future with less optimism and hope than those who have a trail lined with success. But what if we didn’t see our future in terms of how we presently see ourselves? What if we refused to define ourselves by the past and instead looked at our future as God does? I recently listened to Andy Stanley hit another home run with the final message in the North Point series, Game Plan. He pointed out that we tend to see our children in terms of their future and potential rather than looking at their past with all its mistakes and failures. In 1 Samuel 16 God tells Samuel that He sees not as we see. He looks at our hearts. He looks at what can be done with a heart that is fully committed to Him. He looks at our future through the lenses of redemption and restoration. God does not look at the things we look at. So what if our heavenly Father really does see us differently than we see ourselves? What if Jeremiah 29:11 is really true? What if God really desires to prosper His children and not harm them? What if He really does have plans for us; plans that we would have a hope and a future? What if His thoughts and ways are really higher than ours (Isaiah 55:8)? Listen to the preceding verses that are filled with hope and goodwill: “Seek the LORD while he may be found; call on him while he is near. Let the wicked forsake their way and the unrighteous their thoughts. Let them turn to the LORD, and he will have mercy on them, and to our God, for he will freely pardon” (vs. 6-7). There is hope for our future. Even if we think we are past half-time in the game. Even if our lives have been defined by failure in the past. God does not see us as we see ourselves. He sees us in terms of redemption and restoration; in terms of our future and potential! I’d love to connect with you via email or phone. Snail mail can be sent to the address listed below. Select me as your speaker, and I will give you my best effort. See me as a catalyst or facilitator that will help you achieve the goals you’ve set for your event. When you win, I win. It’s as simple as that. I’m here to serve you in life’s journey! A venue for the event should be chosen with the target audience in mind. All-day or half-day workshops are ideally hosted in rooms where food can be served and participants can gather around tables for group dialogue and breakout sessions (click on links for preferred room setup: round/long tables). All venues should be suited for multi-media presentations and wired for sound. Once a date and presentation topic have been confirmed for an event, the venue name and address along with a contact phone number should be submitted for advertisement purposes. I can provide advertising media for all events including online registration if needed. A room featuring a multi-media projector with 3000 lumens or greater is preferred for all events. I will use my own projector when one is not available. Please note that for most presentations and workshops I need my laptop at the front of the venue from where I’ll be speaking. My system can accommodate VGA/HDMI cables. I can also supply an Apple TV for systems that require wireless projection from the front. Most of my presentations are designed for widescreen (16:9). For audio I prefer a lapel or Countryman microphone. For presentation/video audio I can supply my own speaker for groups under 100 people. For larger groups I need a mic cord (to plug into my direct box) or an audio cable (3.5mm mini stereo) that plugs directly into my laptop. Replace lecterns and pulpits with a small table or stand on which to place a laptop. Standard telescoping music stands are ideal. For workshops, have a flip chart or white board available with markers in several colors. An eight-foot table should be available on which to place books, CDs, DVDs, and other resources for sale. Cash, checks, and credit cards are all accepted. I do not charge a set fee when speaking at non-profit events. However, donations are welcome to support my family, cover bills, and feed my Puggle. Suggested donation amount is $500/day plus travel expenses. If I’m within 8 hours of an event I will drive (suggested reimbursement of $250), otherwise I typically fly (if within the USA, $500). I fly out of Lexington, KY and typically purchase my own tickets; a reimbursement check made out to “Luke Kuepfer” can be mailed to 333 East Margaret Drive, Wilmore, KY 40390. I’d be delighted to come to your event and speak. I typically keep my events within a 1-3 day time period due to commitments to my family; anything over this length of time is generally reserved for international travel. Workshops can be facilitated as whole-day or half-day events. My multi-part series can be easily held over a weekend, beginning Friday night and ending Sunday morning or beginning Sunday morning and ending Monday evening. Speaker, author, and life coach. Born in Ontario, Canada, I moved to El Salvador at age 4 to live as a missionary kid for three years. At age nineteen I moved to Alberta, Canada where I taught school for three years. After leading several short term teams to Asia focused on unreached people groups, I married my sweetheart Amy and lived in Northern Indiana for a year and a half. In 1997, we moved with our infant daughter Brittany to Thailand where I served as director of Global Tribes Outreach. During our ten-year stint in Southeast Asia, God blessed us with two more children—Courtney and Jamin. In 2008 we moved back to North America and bought our first house in Kentucky, USA. I acquired a Masters in Christian Leadership from Asbury Seminary in 2014 and now travel both domestically and internationally to develop leaders. As a leadership developer and life coach I help non-profit and business leaders understand how to maximize their God-given potential to lead and serve others. I am the author of A Serving Leader’s Devotional and the President of the Reverb Network. I’ve spoken broadly on personal & global mission, leadership, team building, and numerous Biblical subjects over the last 20 years on four continents and numerous states and provinces in the USA and Canada. I am committed to a Biblical worldview and dedicated to motivating the church toward missional thinking and practice in all areas of life. I believe that everyone has a God-given purpose to love and serve others like Jesus. I firmly believe that having our thinking challenged is not enough; it must be translated into change. I have heard from other staff members who agree with me, this was one of the best/productive workshops we've attended. Your talk rocked my world. Luke Kuepfer’s high-energy presentation of the material was delightful, articulate, and profound! If you are looking for a fresh and life-changing look at Jesus’ servant leadership model, look no further! Give Luke a call! Luke is a dynamic speaker with the gift of clearly articulating Biblical truths in an easy-to-understand manner. He speaks in humility but with authority, and injects his message with the experience and global perspective gained from living abroad as a missionary for many years. Luke’s enthusiasm and passion for the local church and its impact in the community is inspiring. I highly recommend his teaching and ministry! “Transformational” is the one word I would use to describe the seminar. Luke has a true gift in communicating God’s truths with clarity and passion. Luke is enthusiastic and knowledgeable, presenting the interactive material creatively. It is a unique presentation unlike the usual “leadership seminars” taught from the front. Luke presents it with expertise, fun, and interest in each attendee. Luke really has an incredible way of captivating everyone’s attention and making a seminar meaningful. He speaks from his heart and lives what he preaches. As a result of this Encounter we’re taking our family to Southeast Asia on a two-month mission trip with the possibility of moving there long-term. Presentations and workshops in both non-profit and business venues around the world on leadership, people skills, and life purpose. Masters Degree in Christian Leadership. Bachelor’s Degree online in Liberal Studies. Founded and served as Field Director of Global Tribes Outreach (GTO), a non-profit organization based in Southeast Asia committed to church planting and social work. Floor finishing in concrete construction and equipment operator on a cash crop farm. Taught elementary through high school students in a self-directed learning environment. Luke Kuepfer on What is Spiritual Authority? David Ingman on What is Spiritual Authority? Luke Kuepfer on Is Love Defined by Obedience? Benji Mast on Is Love Defined by Obedience?